With PRODYNA, you not only develop code, but also ideas those are groundbreaking for our prestigious customers. Our projects are as varied and diverse as the industries in which we operate. Through our expert groups and technology partnerships, we offer open-minded thinkers, techies and pioneers an environment in which you can continuously grow and be creative. PRODYNA is an innovative IT consultancy serving the digital needs of corporate enterprises across the continent. With around 360 employees, PRODYNA is represented by offices in the major European commercial regions including the UK, BeNeLux and the Nordics. PRODYNA embodies the portfolio of a creative agency, an IT consultancy, an IT integrator, and a cloud-based hosting and support provider into a highly efficient and cost-effective full-service partner. PRODYNA has supported global organizations with innovation, strategy, custom software, and all associated hosting, support and management processes for almost two decades. Please visit www.prodyna.com for customer references and project examples. The name PRODYNA stands for PROfessional and DYNAmic. Although most people think and act in the time unit “project”, the path to long term success is much longer. PRODYNA considers it extremely important to guarantee continuity to its customers. Since our capital is the knowledge and experience of our consultants, PRODYNA makes great investments in the further education, certification, and long-term retention of its employees. Working with PRODYNA is like working with good friends. The corporate culture is based on community spirit, passion and joy in what we do. We expect a lot from our employees – high-quality software, professional appearance, dedication and ideas. An environment in which everyone feels comfortable is the best way to reach it. For this reason, our social benefits are multifaceted, so that everyone can feel comfortable and we can grow together to be successful. 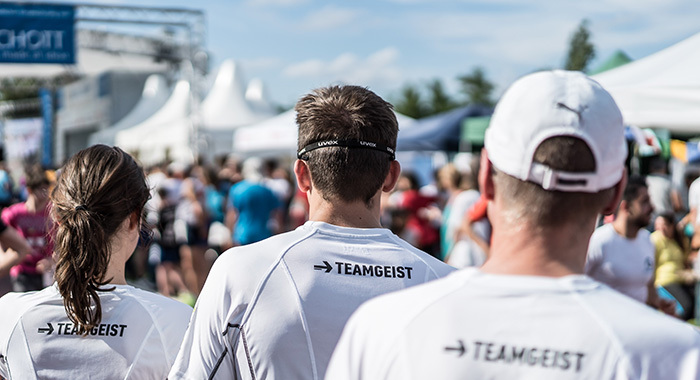 We are led by team spirit (teamgeist) in everything we do. On a daily basis we cooperate with our colleagues from different parts of Europe. We also have company's events that are multicultural and are the place where we all meet. Our professionalism demonstrates itself in our clear, structured procedures in projects: through the application of procedure models (e.g. RUP), the compliance with quality standards (CMMI, certification according to ISO 9001:2008) and the high demands for documentation and concepts. It is also reflected in our experience with large-scale projects and in the high investment into our staff's further training. We take a professional attitude and behaviour of our employees, when dealing with customers and colleagues, for granted. We offer a philosophy with clear structures: in a competence-oriented matrix organization that depicts for every employee who is an expert in which area. This also includes involving clients and staff into project processes (Confluence, JIRA), so that everybody knows the actual project status. Our corporation is characterized by flat hierarchies. Changing project teams and intensive exchange of know-how is the base for good teamwork beyond project barriers. Our dynamic Solution Center and specialist areas combine employees of different seniorities and project teams and ensure project independent communication and cooperation – based on appreciation and respect. This is one of the most important value, which we nutrure with various team activities and events. You may find pictures of it in our gallery. High investment into the further training of our employees ensures their individual opportunities for development and our long-term leadership in the various areas of development . We ensure these through the PRODYNA Academy. Since our technological environment is characterized by strong transformation processes and further development, we put strong emphasis on intensive internal communication and short communication channels. We ensure the latter through Instant Messaging, a dynamic intranet (Confluence, JIRA) and the respective working equipment for our employees. Trust constitutes an integral part of a solid, continuous cooperation. We see clients and employees as our long-term partners. For us, far-sighted and responsible acting in accordance with our clients‘ and our employees‘ requirements, as well as absolute reliability, go without saying. In order to realize the best possible solutions for our clients, we expect and reward the proactivity of our employees. We explicitly wish for the acceptance of responsibility, be it within the company and its internal structure, or through recognizing and seizing project opportunities.